The unmistakeable aromas of summertime have to be freshly mown grass and mouth-watering wafts of delicious food sizzling over hot charcoals. Happily it’s barbecue season again, when we take every opportunity to relax outdoors, cook under the skies and eat al-fresco with a chilled glass of our favourite tipple in hand! Seasoned Pioneers barbecue rub, spices and seasoning rubs can transform your barbecue food into exciting and tasty dishes that will wow your friends and family. Literally packages of flavour, many of our barbecue spices can be used as a rub or as a marinade, so to follow are our suggestions as to how to spice up your summer! Caribbean BBQ Jerk rub is the classic spice rub to use on meat, fish or vegetables, with a sweet spicy flavour that will bring some extra sunshine into your barbecued food. Jerk spice rub originates from Jamaica, but the word jerk also relates to a style of cooking where foods are grilled over charcoal, often in a halved steel drum known as a jerk pan. In order to achieve the perfect jerk chicken, buy your jerk spices from Seasoned Pioneers, where we have carefully dry-roasted, ground and hand blended them to a traditional recipe. Barbecued jerk chicken is probably the most popular jerk barbecue dish consumed in the UK, although jerk rub is often used on pork, also a customary jerked meat in Jamaica. Cajun Blackening spice rub is also fantastic when used on barbecued meats or fish, giving a blackened appearance and spicy Cajun flavour. This is particularly good when used as a rub on whole or filleted fish and chicken portions. Here at Seasoned Pioneers, we have enjoyed experimenting to find out which spices used in barbecuing will give the best and tastiest results. The barbecue spice rubs we think will enhance your barbecued meats include our Fajita seasoning, Caribbean Adobo rub, Harissa spice mix and our Mexican Adobo rub, to name a few! If you’re barbecuing fish, our newly launched Chermoula spice is simply splendid either rubbed directly onto fish or mixed with oil, garlic and fresh herbs to be used as a marinade. 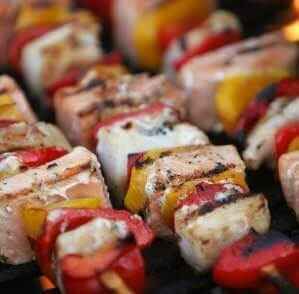 Most barbecue spices can be used to marinade your food in advance of cooking. This can be done easily by placing your food in a bag with the spice rubs and maybe the addition of a little oil to prevent the food from sticking once placed on the barbecue. Leave it to marinade in the fridge for a couple of hours or even overnight and then enjoy the fantastic spiced flavours and cooking aromas that will be the envy of your neighbours! For an unusual and refreshing drink to serve with your barbecued food, make a large chilled pitcher of Caribbean Sorrel Rum and toast the arrival of summer!